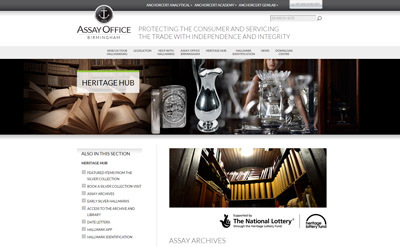 The Heritage Lottery Fund grant enabled Assay Office Birmingham to transfer its paper records onto an electronic catalogue and photograph the collection during 2014/15. You can search our Museum Collection, which contains records for our silverware and coin collections, and our Library catalogue. As part of the Heritage Lottery Funded project an oral history record of the life at Assay Office was created. Oral Historian, Helen Lloyd conducted 29 interviews with current staff, Wardens, Guardians, customers and former employees to create a unique audio archive that captures the voices and memories of the people who have worked for the Assay Office and others in the Jewellery Quarter who have a close association with it. The result is a fascinating insight into a business that was founded in 1773 and has been located in the Jewellery Quarter since 1877. The employees of the Assay Office, both current and former, have lived and worked through times of significant social and industrial change. 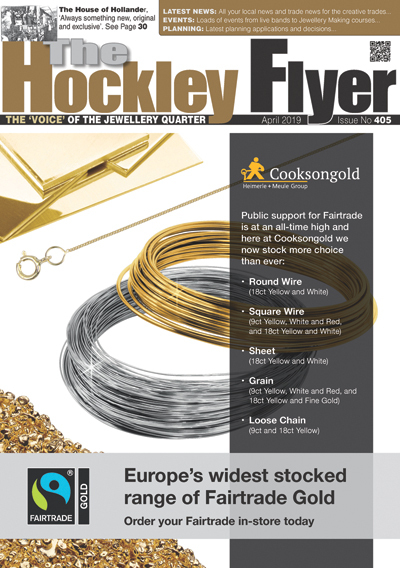 The Oral History Archive provides an insight into the part the Assay Office has played in the Jewellery Quarter and how hallmarking remains vital to the assurance of quality that has characterised the Birmingham jewellery and metal trades for many years.